Dr. David Dreyfuss started this practice with the idea of high-quality surgical care, personalized service, and beautiful aesthetic results. His compassion and dedication to your individual care will give you the confidence that his primary goal is to ensure your complete satisfaction. Dr. Dreyfuss received his medical degree from Emory University in Atlanta. He completed a General Surgery residency at Michael Reese Hospital in Chicago, followed by a Plastic Surgery Fellowship at the University of Chicago. He is recognized by his peers as an expert in the field of Cosmetic Surgery and has presented at many national meetings on Breast Surgery and Breast Implants. In addition to his many years of experience and certification by the American Board of Plastic Surgery, Dr. Dreyfuss brings a unique blend of passion, artistry and pride to the science of cosmetic surgery. People seeking cosmetic and reconstructive surgery travel to see Dr. Dreyfuss for a variety of different procedures, including breast augmentation, liposuction, laser skin resurfacing, eyelid surgery, and more. When you call our Orland Park plastic surgery office for a cosmetic surgery consultation, know that Dr. Dreyfuss will work personally with every patient, from the first initial consultation to the final post-operative visit. 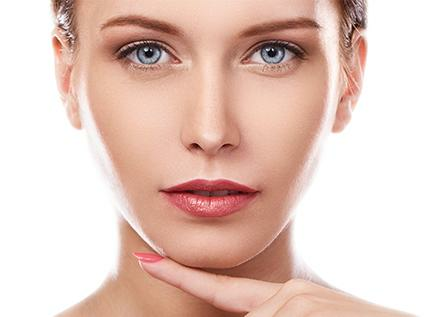 If you’re at a point in your life where you’re thinking about changing or enhancing your face or body, we invite you to explore your many surgical and non-surgical options with us. Whether you were born with imperfections or time has changed your view of yourself in the mirror, you can depend on us to give you the natural, beautiful results you desire. See our photo gallery for before & after photos of plastic surgery including breast implants, liposuction, tummy tuck, and facelift.